The GAPS psychiatry clinic was designed by the architects, Karlsson Arkitekter, as an ambitious project. GAPS is the largest psychiatric centre in Denmark. It includes a psychiatry department accessible to the public and a closed forensic department with high-security area. The clinic in Slagelse provides space for more than 190 patients, who are treated as inpatients. 200 to 300 outpatients can also be treated. 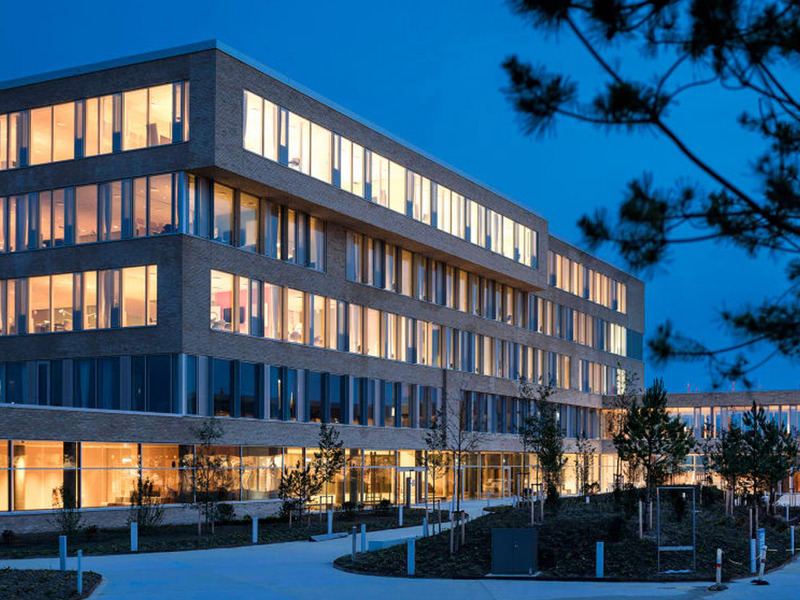 The Danish architects Karlsson Arkitekter designed GAPS as healing architecture – the buildings were designed to offer the patients a dignified environment and are well thought-through to promote healing processes. The patient-centric concept of GAPS can be seen, for example, in the lighting. Large window elements and the intelligent use of LEDs, which adjust their light temperature to the time of day, create almost natural lighting. The architecture is the essence of Nordic design: A finely tuned design, which creates intimate spaces and thus places of retreat and nonetheless enables transparency. Natural materials such as wood, clay brick and concrete are in reference to the atrium gardens that surround the GAPS. The seclusion of the inner courtyards in turn absorbs the peace and quiet of the rooms inside the building. The minimalist design principle characterises the entire architecture – whether the award-winning colour concept of the Danish artist Malene Landgreen or the fixtures and fittings of the actual rooms. The patients' bathrooms are fitted out with Range 805 accessories made of stainless steel – which despite their purist design are convincingly functional. Even the accessible bathrooms are matched to the unobtrusive design concept. The Range 801 hinged support rails and shower seats used are made of high-gloss white polyamide and fit in the room. They offer secure hold and help patients to be independent. The design of the interior spaces conforms with the patient-centric approach of GAPS. The focus is on people instead of the institution.